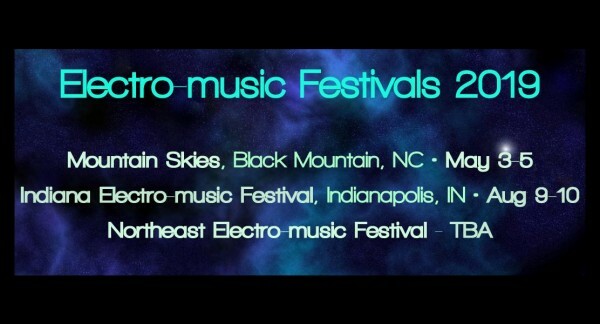 electro-music Asheville brings some of the world's finest electronic and experimental musicians to the mountains of Western North Carolina. They will be joined by local artists for two days of compelling live music and innovative technology. Musical styles cover a broad spectrum, guaranteed to be creative and original. Live video art will accompany the concerts. Asheville is always a great festival at a wonderful time of the year in the Blue Ridge mountains. It's a great venue with lots of good restaurants in short walking distance. The music and lectures are always splendid. Hope to see you there. emavl.com expired on 11/11, just in case you had not noticed. Hoping there'll be future events. The 2018 festival was fantastic. Tony Gerber has this recent post and photo on FB. I guess he can be PM'd here. Ok. We are now officially full up on the Mountain Skies 2019 roster. HOWEVER, people who now request to perform will be added to CUE if you received an initial invite. As always, I am sure some people will have to cancel for unforeseen reasons. Tremendous response folks." EDIT 2: Not sure where that Indianapolis date comes from. I haven't seen anything else on that. It looks like http://electro-music.com is out of the loop. That is a shame.